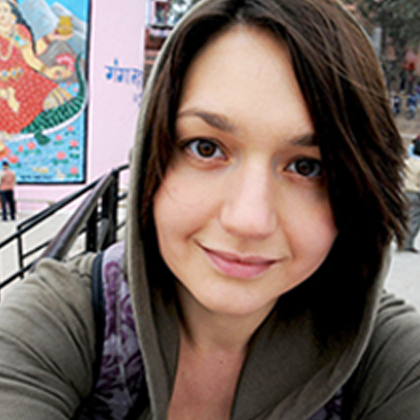 It is Tuesday evening – one of those that, in the life of anjči, tend to be rather uneventful. This one is no match though: for I find myself at London Heathrow airport handing over my passport for a visa check. A few seconds later, the boarding pass is printed and I am good to fly. One quick glance at that precious piece of paper – which, sure enough, distinctly reads “Muscat” – and, at last, I start to believe this all is happening for real. 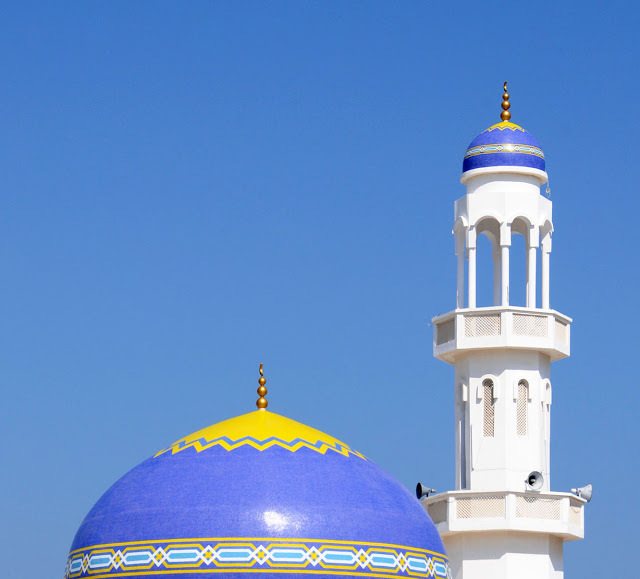 It is Tuesday evening and I am going to Oman. The eight-hour overnight flight never seems to end. I make an impatient dash for the window and pull the blind open to reveal the first rays of a flickering sunrise – so wonderfully Arabian in the cloudless sky. 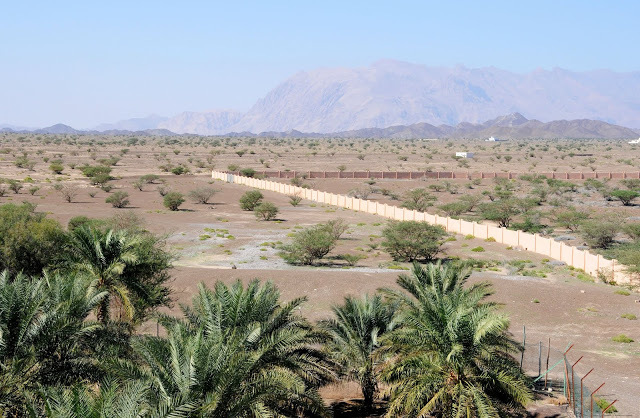 Dull desert underneath soon gives way to an impressive stretch of rocky shrug-covered mountains – which, I figure, must be Oman’s celebrated Al-Hajjar range. We should be landing in minutes. Another passport check on the ground, and I suddenly find myself blinking at the dazzling daylight in front of Muscat airport’s characteristic terminal building. 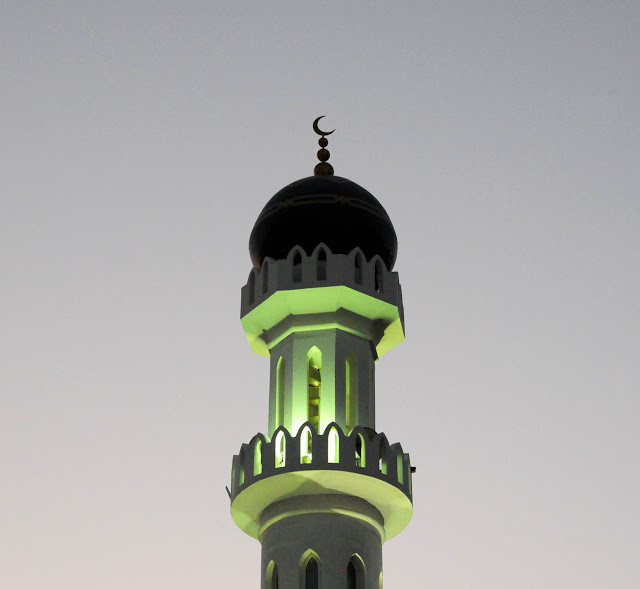 A taxi rolls by; “Salaam Alleikum”, I greet the driver and smile at my voice struggling with a most common Arabic phrase. 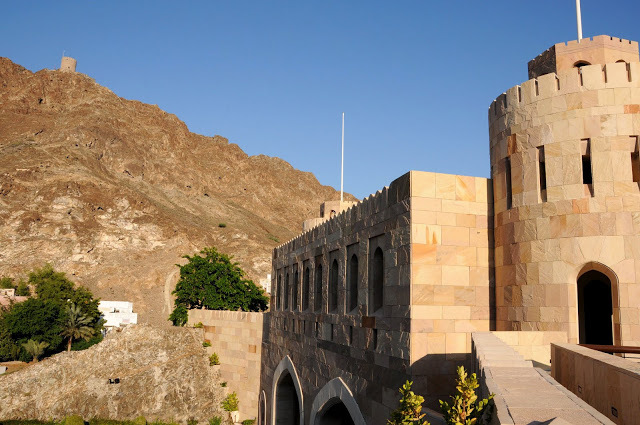 Thankfully, the name of my hotel is less exotic, and, after exchanging a few more pleasantries, we leave for Muttrah – one of six provinces (wilayats) that make up Muscat’s metropolitan area. As the taxi zooms along modern highways, up and down the no-less modern aqueducts, I silently regret not being able to drive. Governorate of Muscat is quite spread out, spanning 1.5 thousand square kilometres, which is roughly equivalent to Greater London in size. 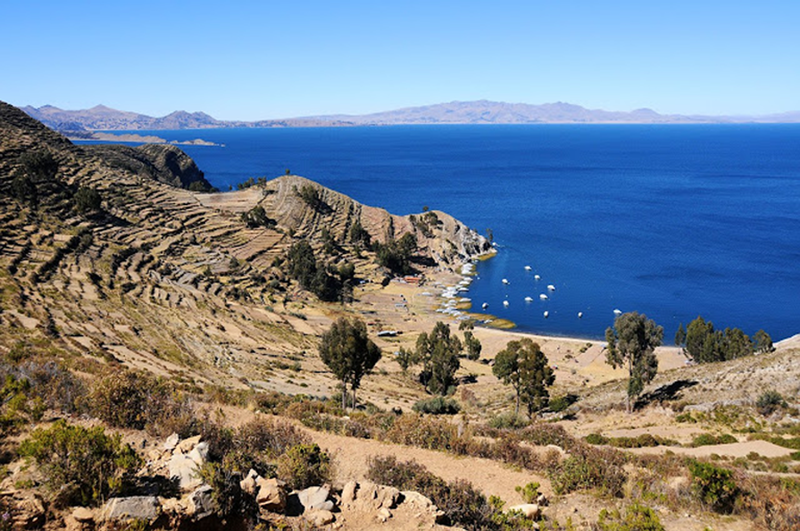 Surviving here without a car – let alone exploring – must be difficult. 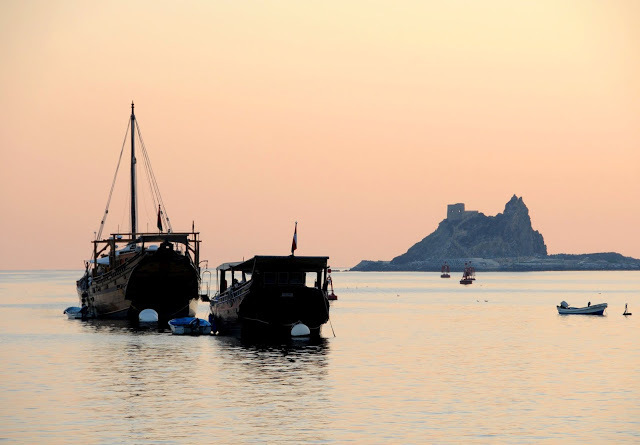 Finally we reach Muttrah where I bid farewell to my driver and continue by foot. 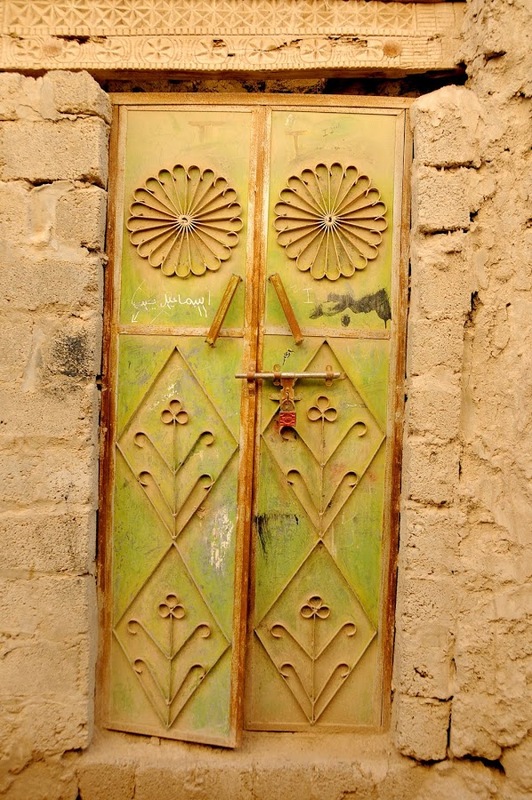 Past semi-identical white houses, a narrow pavement takes me to the seafront where I nearly miss Oman’s famous Muttrah Souq – so well hidden its shadowy lanes are in the surrounding maze of the intertwined backstreets. 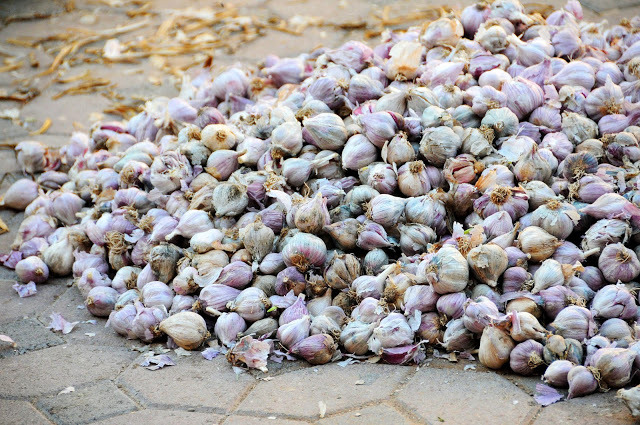 When I finally locate the market – having asked countless Pakistani workers in the harbour for directions – I stop to blink furiously as my eyes are not used to the dimness of the light. 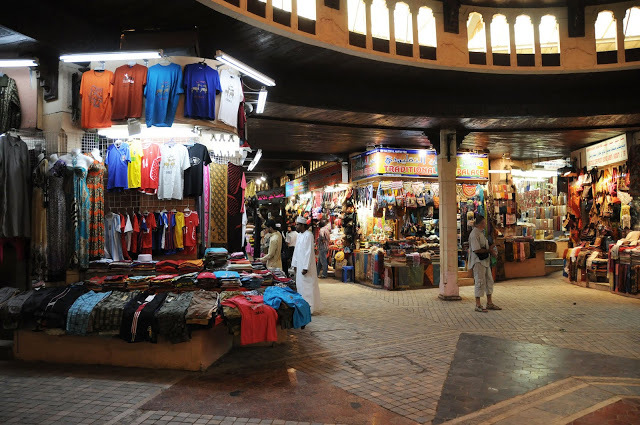 In fact, the souq’s Arabic name – Al Dhalam – means exactly that, “Darkness”. The souq is larger than it seems at first. Exuberant local handiwork neighbours cheap plastic merchandise and oriental scents stream from absolutely everywhere, blending into a wild hazy mix. 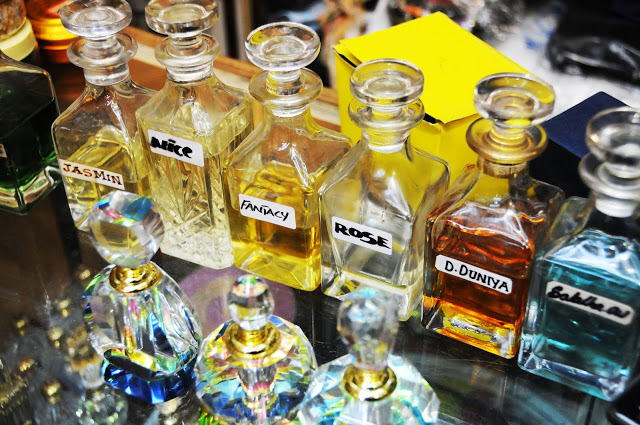 The exotic, drowse-inducing aroma reminds me painfully of the sleepless night in flight. Through heavy eyelids, I notice a local man signalling me energetically. From his excited gestures and expressive pointing at my Nikon, I gather I am being asked to take a photo of the man’s elderly friend sitting beside him. My sleep is suddenly all gone; I do not wait to be asked twice. 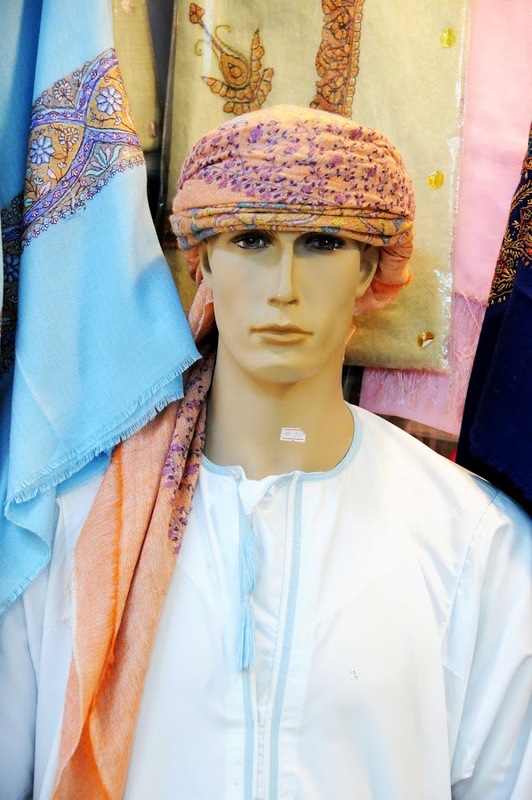 The time is around noon, and the souq is relatively quiet. 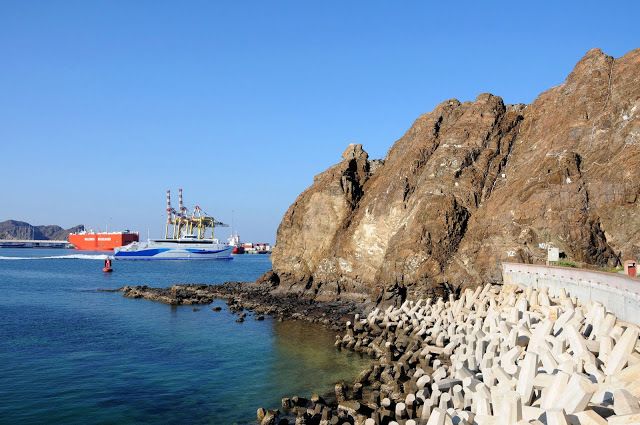 In the heat of the midday sun, I return to the waterfront and glance towards Port Sultan Qaboos – named after none other than Oman’s popular ruling monarch. The Corniche is almost surreally empty in its stunningly beautiful mountain backdrop. According to my map, the administrative centre of the Governorate – Old Muscat – lies mere 3 kilometres away. 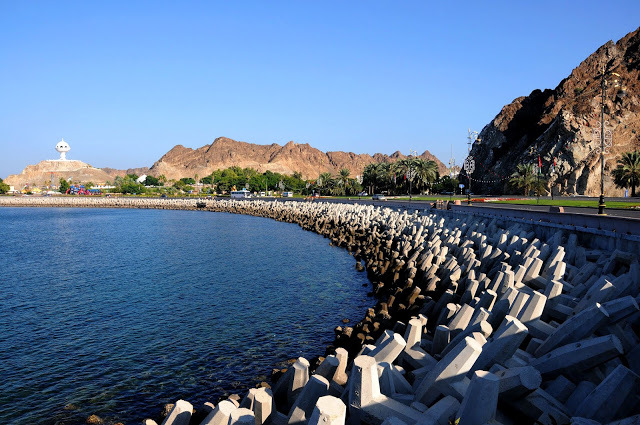 The broad seaside promenade which, I assume, stretches that entire distance, is too inviting to resist, and I measure my pace to Old Muscat, stopping every few moments to photograph the playful seaside panorama in front of me. As I walk, a catamaran boat passes by, makes a swift turn and soon becomes a mere dot on the horizon. 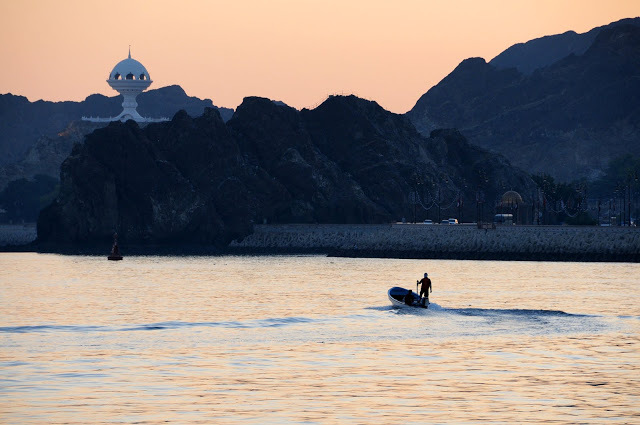 This is Shinas, the world’s fastest diesel-driven passenger ferry that connects Muscat with the Omani exclave of Musandam in the north – sitting at the tip of a namesake peninsula, this tiny pocket of land allows Oman partial control over the entry into the Gulf through the strategically important Strait of Hormuz. 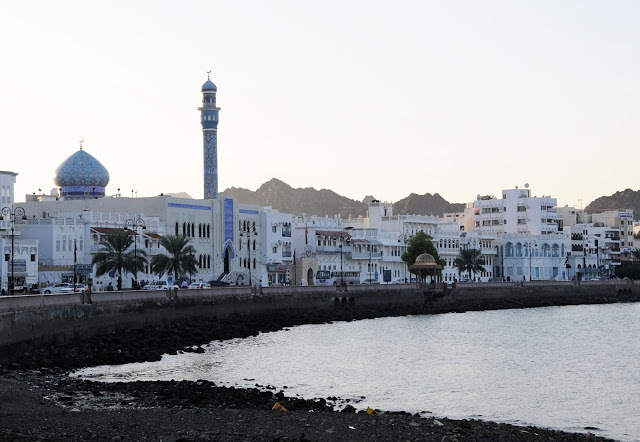 The road to Old Muscat is decorated with Omani and South African flags in its entire length. South African? My silent question is soon answered as I find Sultan’s Al Alam Palace all guarded off and impossible to approach; this is Sultan’s ceremonial grounds and the South African state representation is in town. If it wasn’t for the security forces positioned literally everywhere, I would have a difficulty believing this part of the city was inhabited – so quiet its spotlessly clean streets are and so rare the through traffic. The dominant figure here is unmistakably Sultan himself: his image is eyeing me off every gate and even walls of residential buildings. 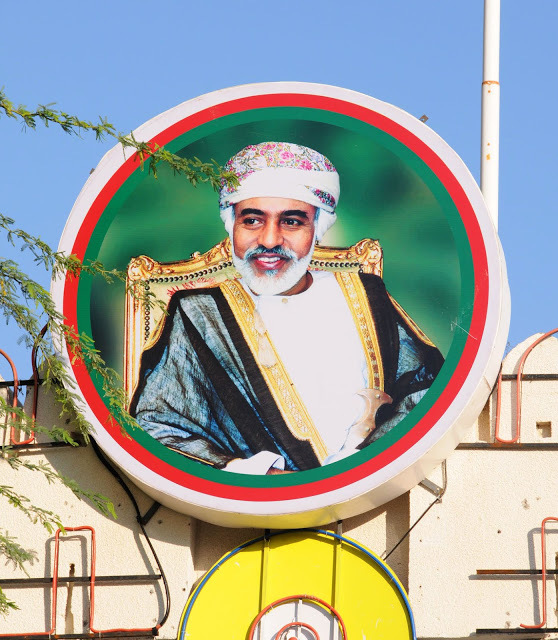 However, unlike in Syria during my visit last year, the images of Oman’s most powerful person do not have a heavy military feel about them. 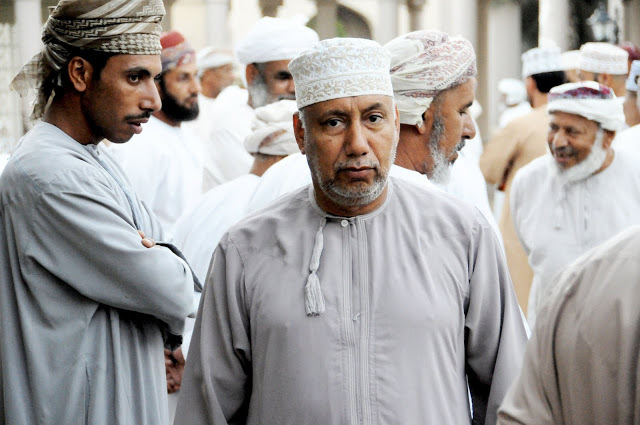 Indeed, Oman is consistently ranked among the most stable countries in the Arab region; its relatively small scale of Arab Spring protests in February 2011 speaks for itself. 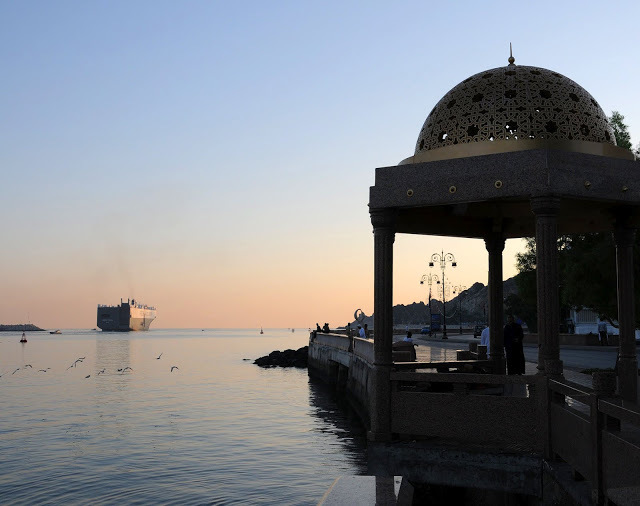 I return to Muttrah which looks decidedly livelier in the pleasant pre-sunset hour. 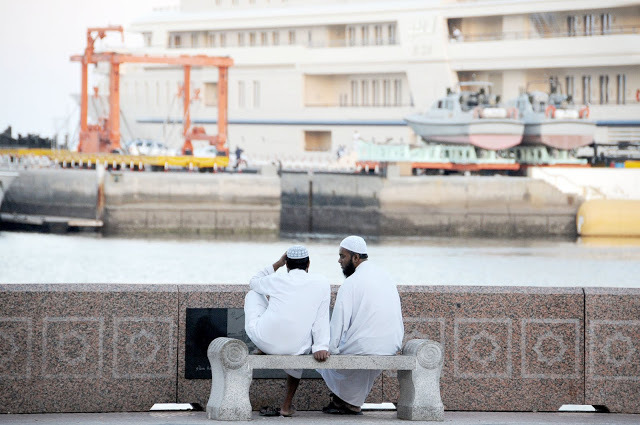 Couples are strolling along the Corniche and foreign workers gather by the waterside to share a meal or a cigarette. Bar an occasional bus, I seem to be the only tourist around. And you know what? I love the fact. 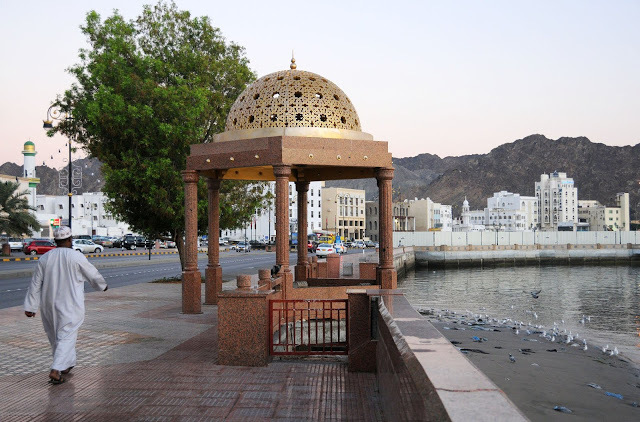 Next morning, the budding dawn finds me on the same waterfront – once again wonderfully deserted – for that final stroll before my bus to Nizwa, one of Oman’s oldest cities and a large inland centre. 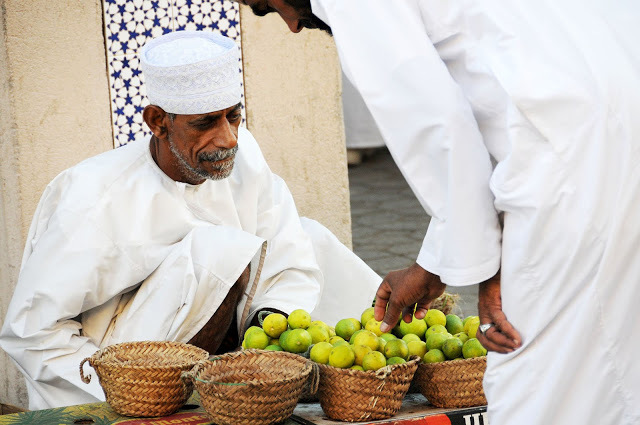 Back in the times when present-day Oman was split in two – the Sultanate of Muscat embracing the current capital city and the inland Imamate of Oman proper – Nizwa served as the capital of the latter. 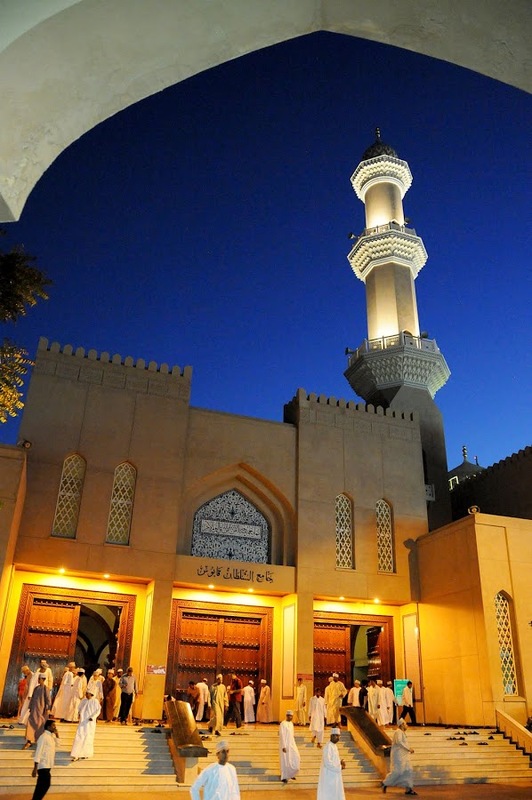 Up to this day, Nizwa has preserved its importance as the crossroads of routes from Muscat to Oman’s second largest city, Salalah in the south. 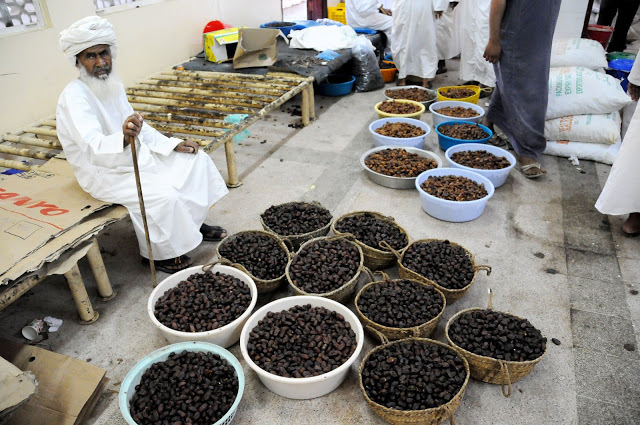 The main reason I make my way to Nizwa, however, is its celebrated souq – one of the country’s largest – where livestock is traded every Friday morning in what is supposed to be a vivid cultural scene. 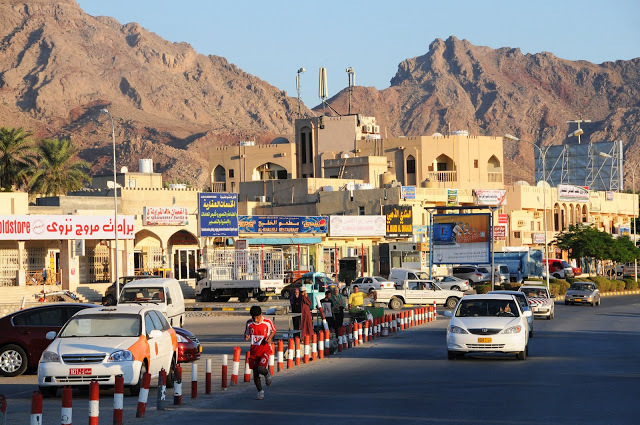 With almost the whole of Thursday still to spare, I arrive in Nizwa around noon, deposit my humble luggage in a decidedly non-central hotel (in fact, all hotels in Nizwa are located on the main highway far from the historic centre) and raise my hand to hail a taxi. Suddenly a massive 4WD stops next to me and rolls one of its windows down to reveal a smiling face. 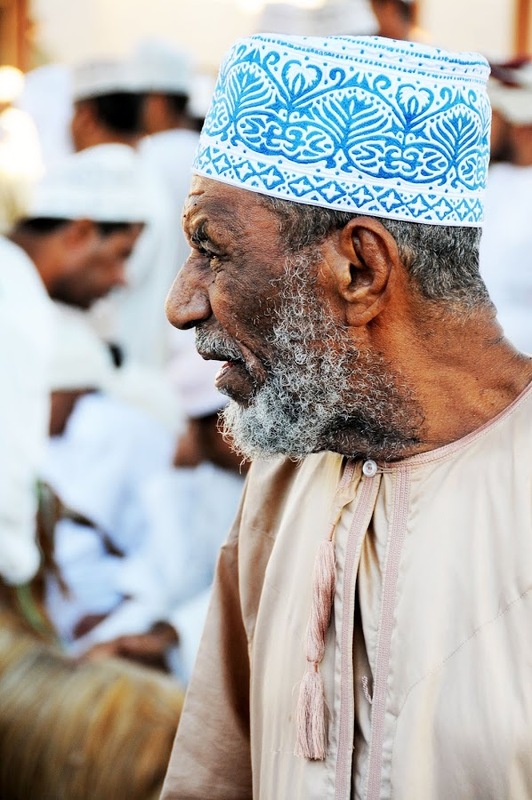 An Omani man inside asks if I need a lift and something in his expression tells me to accept. Besides, as the inner voice keeps buzzing, I have NEVER sat in a car like his – and likely never will again. 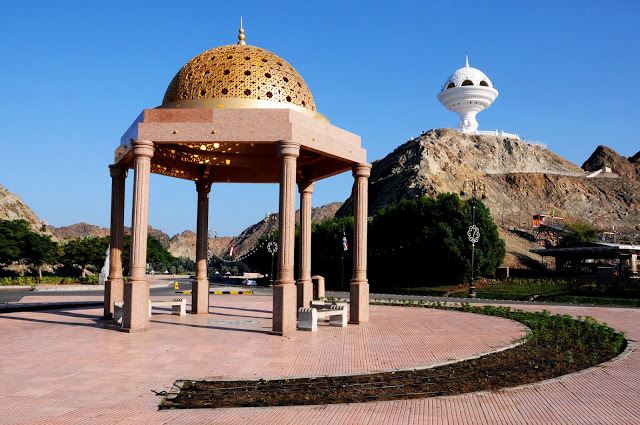 Perhaps I would care to see other tourist attractions around Nizwa, my self-appointed driver suddenly asks as we nearly reach the main square. As a sign of local hospitality, of course. I shrug. Frequent travel experience has taught me to show cautious trust to locals and follow the gut feeling – which, in this instance, does not seem too concerned. Plus, rushes through my head, human kidnappers rarely drive around in massive 4WDs with seats still wrapped in plastic. 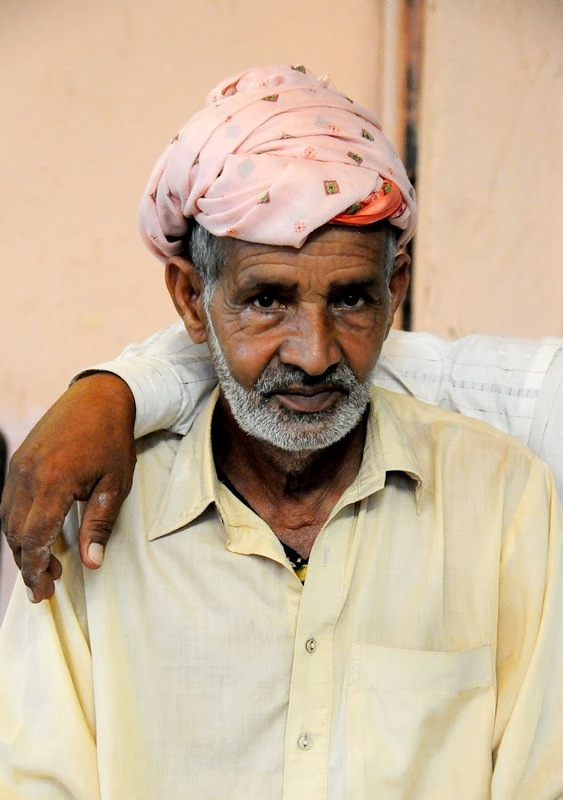 And when Majid (as he introduces himself) pops out of the car for water – nonchalantly leaving behind his wallet and car key in my full display – I am fully convinced of his good intentions. Preoccupied with my Nikon, I can barely concentrate on my inadvertent companion. 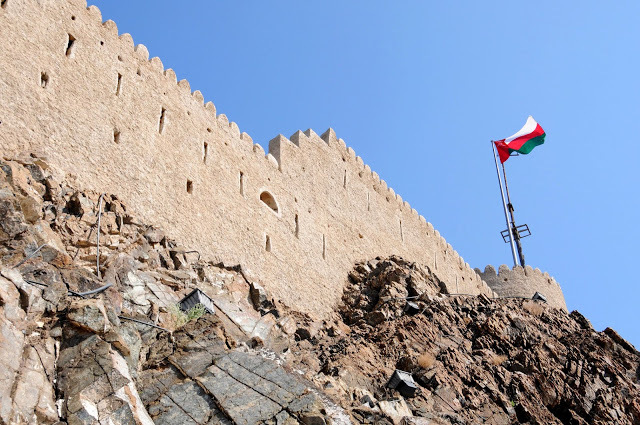 Compared to Muscat and central Nizwa, Fort Jabrin, Bahla and al-Hamra where Majid and I visit boast many more tourists. 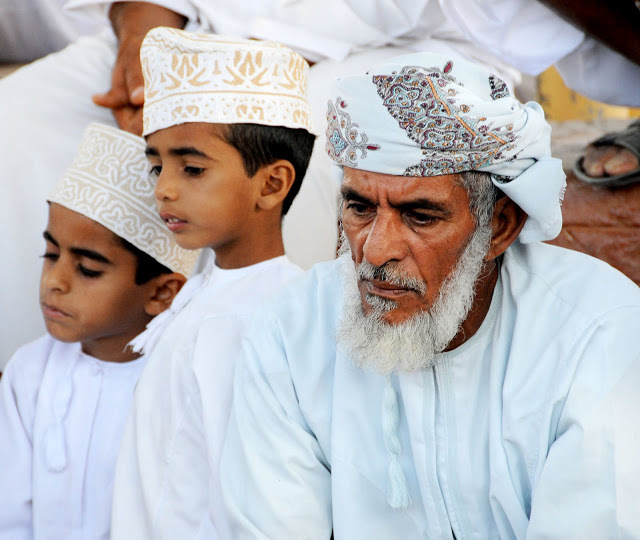 Still, it is Thursday – the first day of weekend in Oman – and many local families notably dilute the foreign presence. 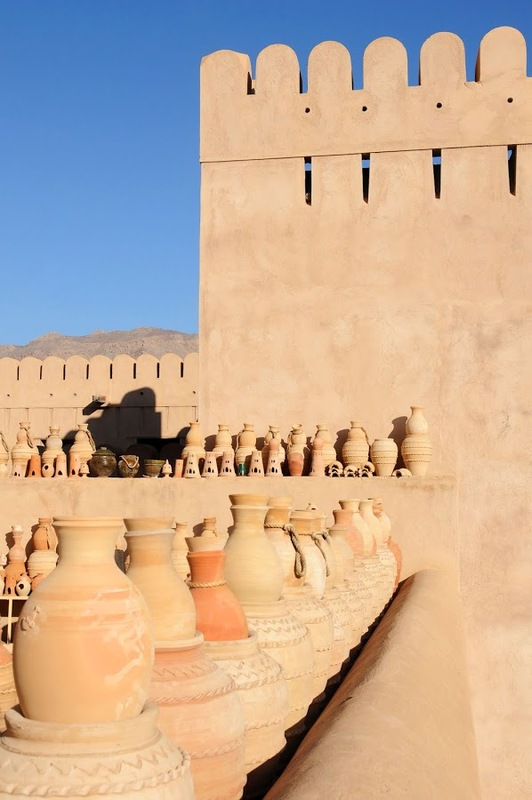 Fort Jabrin is a beautifully renovated structure dating back to 1600s; built by Imam Sultan bin Saif Al Ya’arubi, it served both as his residence and a defence base. 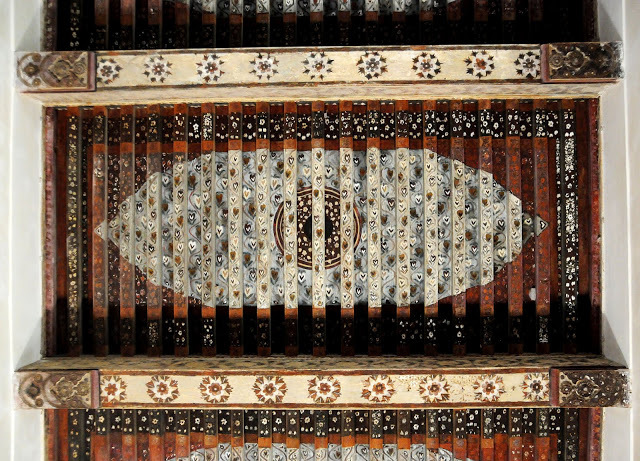 The finely painted ceilings in some of the rooms take my breath away, and the rooftop views over the stretching palm valley around the fort are certainly worth the climb. “Shukran”, I utter almost ecstatically to Majid as my finger keeps on adjusting the camera settings. He smiles. All tourists he’s ever taken here loved the place. 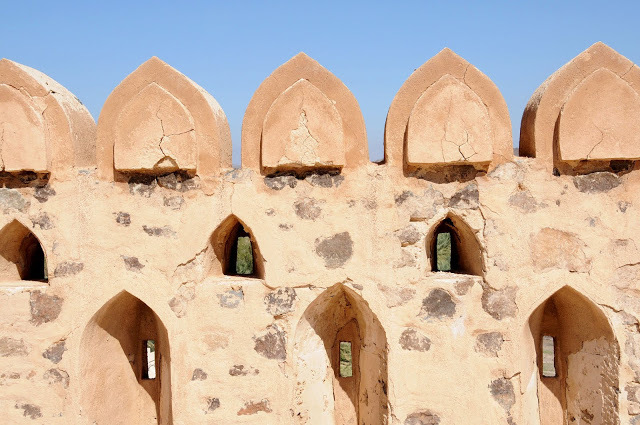 We pass Bahla crowned by a fort of the same name and continue to al-Hamra. 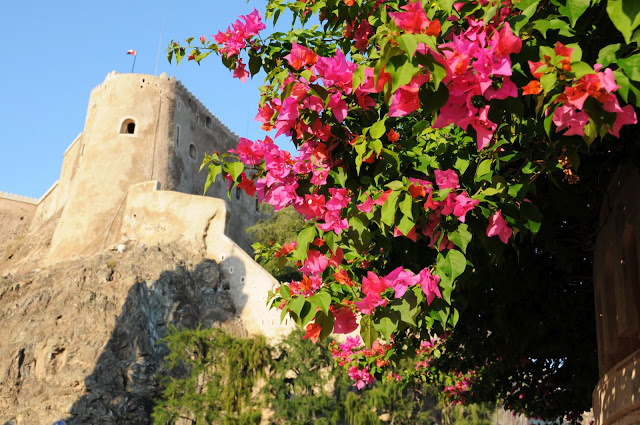 The 400-year-old town can be recognised from afar by a hillside village rising over it; this is Misfat al-Abryeen, one of Oman’s prettiest traditional settlements. Adorable stone houses spread cosily from the parking area on the edge of the village. I peek into one narrow passageway and can barely fight the temptation to leave Majid behind and spend the rest of the day exploring Misfat’s hidden alleys amid the perfect silence of a remote mountain village. But we need to move on. 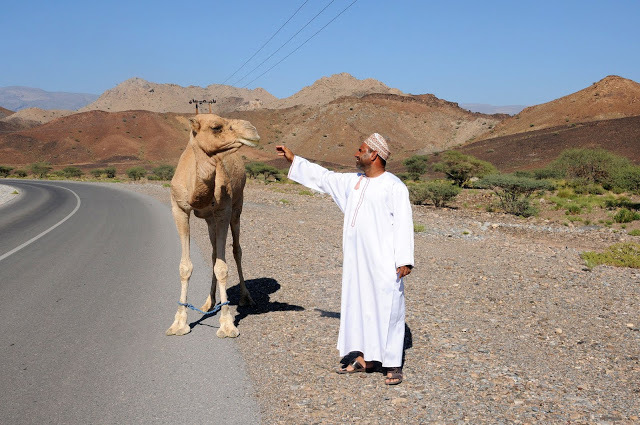 Passing the al-Hoota cave (which I will have to leave for next time), we gather speed along one of Oman’s perfectly designed roads – when something I see makes me yelp “STOP!”. 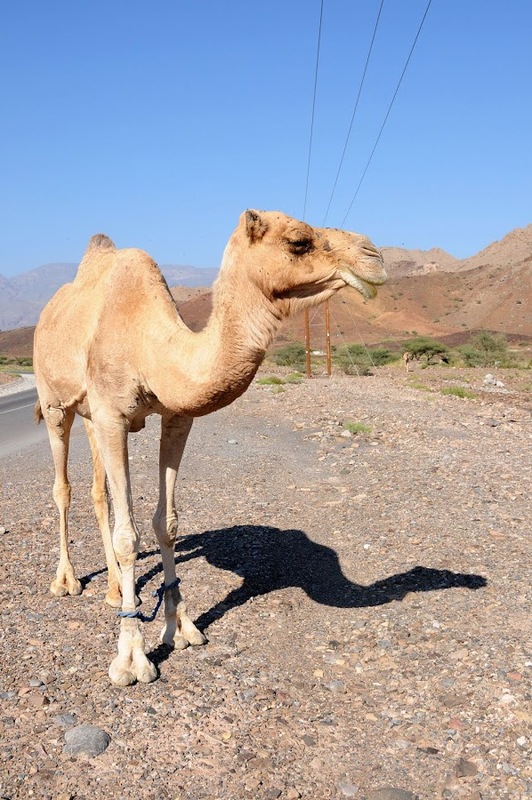 Majid slams the brake and there it appears in front of us – a live camel strolling rather phlegmatically along the road. 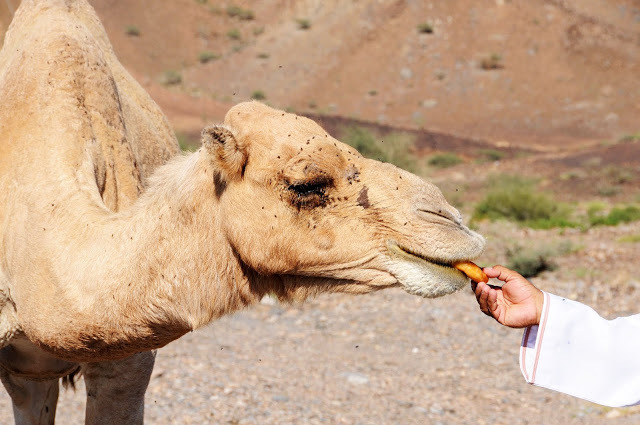 It is not in the least scared of human presence; on the contrary, it approaches us without any fear, pulls out its long neck and takes a donut from Majid’s hand. A camel hoofing along casually on a modern highway – a contrasting sight that only really gets animated in this part of the world. 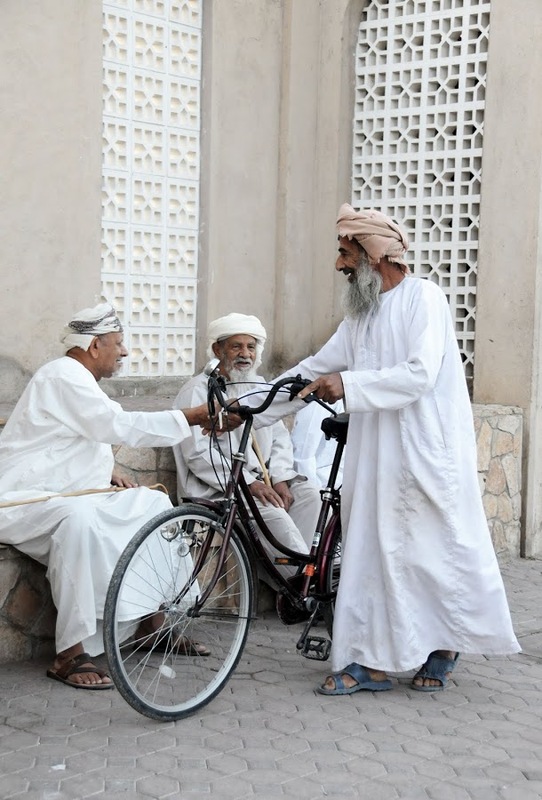 Back in Nizwa, I bid farewell to my heaven-sent driver, and wander around the sleepy streets of the old town until the locals return from their afternoon naps and Nizwa begins to look inhabited again. 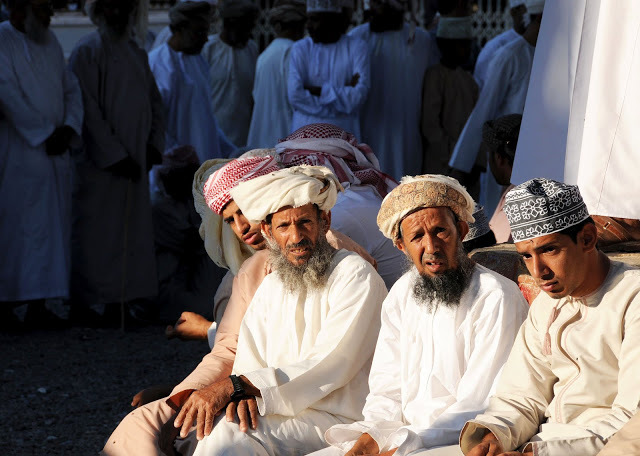 Soon the usual pre-sunset existence kicks in: men are sipping tea over a newspaper or a chat, women are picking up whatever groceries they had missed before at the market, the pious are congregating at Nizwa’s many mosques, and traffic is getting busier as everyone is moving about their evening business. And I? I observe but certainly do not interfere. 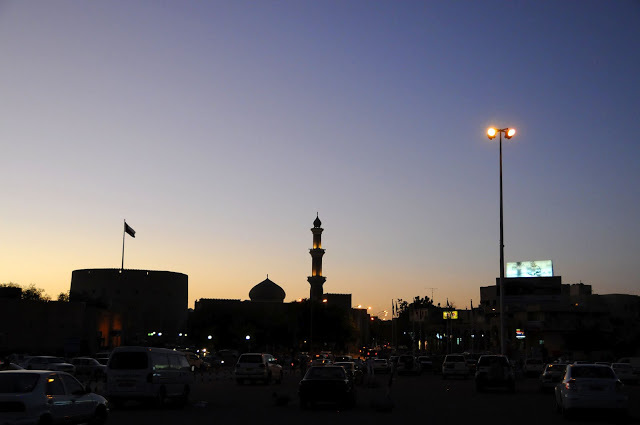 It is still dark outside the next morning as I leave the hotel for an early arrival to Nizwa’s famous Friday Market. 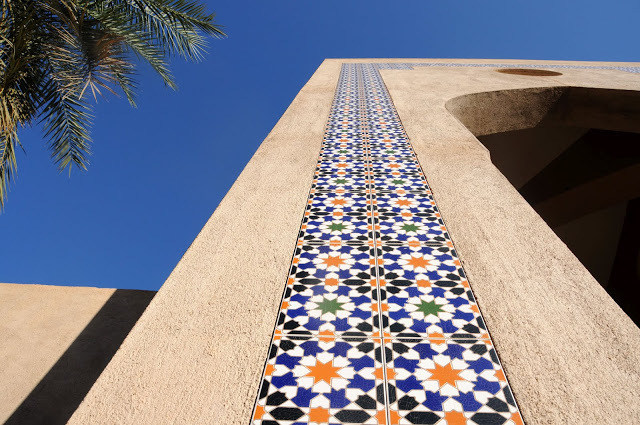 Like most of the historic centre, the souq area has seen extensive renovation in the recent decades and now looks almost too perfect to believe. 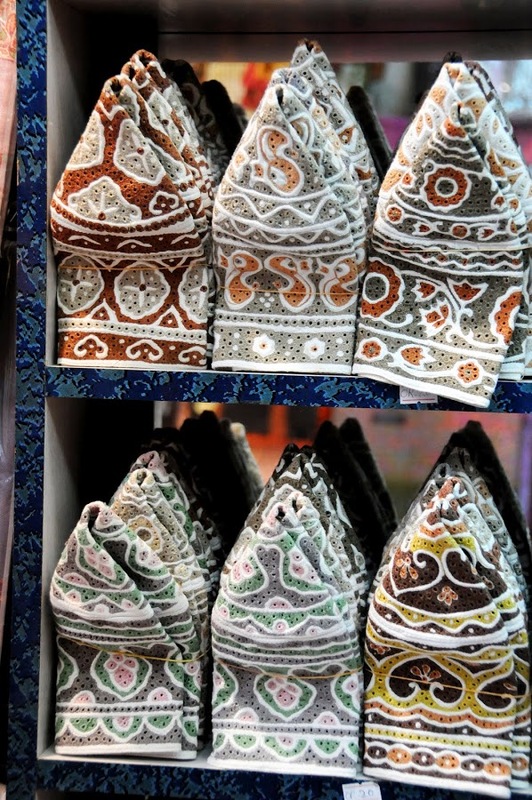 However, it is the locals – men in their traditional long gowns (dishdashas), embroidered caps (kummas) and colourful turbans (muzzas), and Bedu women in bright dresses and face masks – that leave no doubt as to the authenticity of the place. 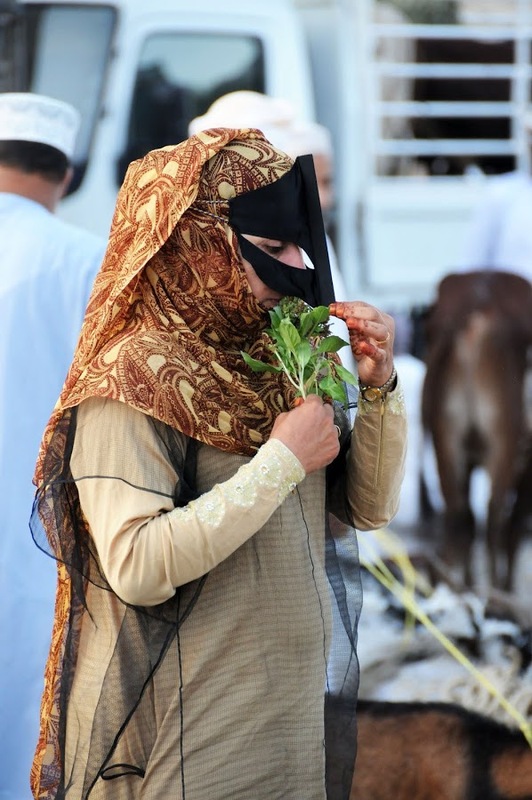 Side by side with the locals, I wander through the stalls packed with vegetables, fruit, meat, fish and dates. Morning shopping seems to be men’s responsibility as there are notably more men than women around. The only tourist at this early hour, I get a few curious stares and smile broadly back – for there is something faintly alluring about being an outsider in such a strongly defined cultural environment. 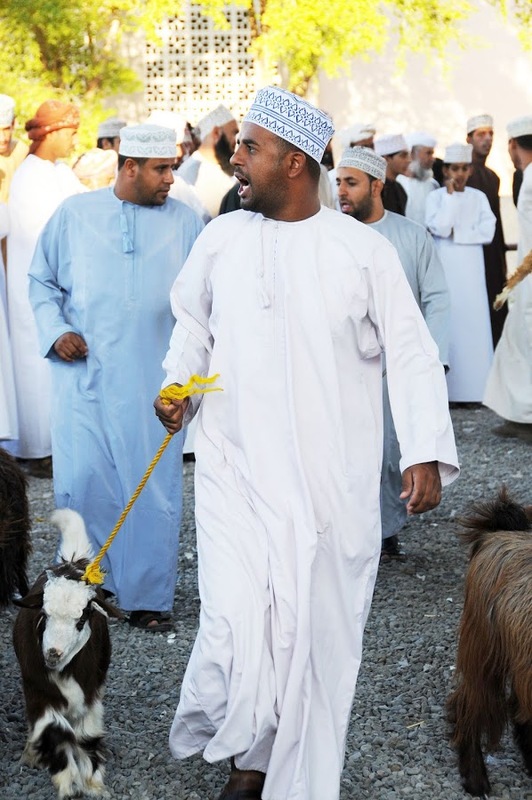 The most interesting part of the souq is certainly the Goat Market – a round stand where hundreds of locals have already gathered for a better view of what’s about to happen: the livestock trade. 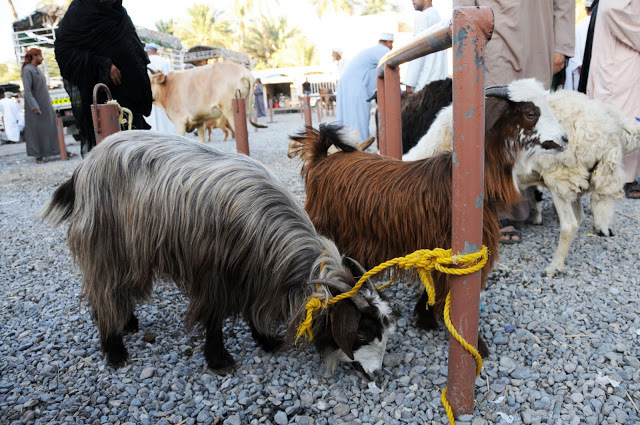 Minutes later, goats are being led in a circle – cornered frequently by the spectators for a closer examination – until someone (usually the loudest) shouts out the highest bid, the animal exchanges hands, a new one enters the circle – and the whole scene is played out all over again. Come 8am, and first tourist groups begin to arrive – their zip hiking pants and oversized cameras clashing clumsily with the surrounding reality. I declare my mission complete and head out through a large gate. 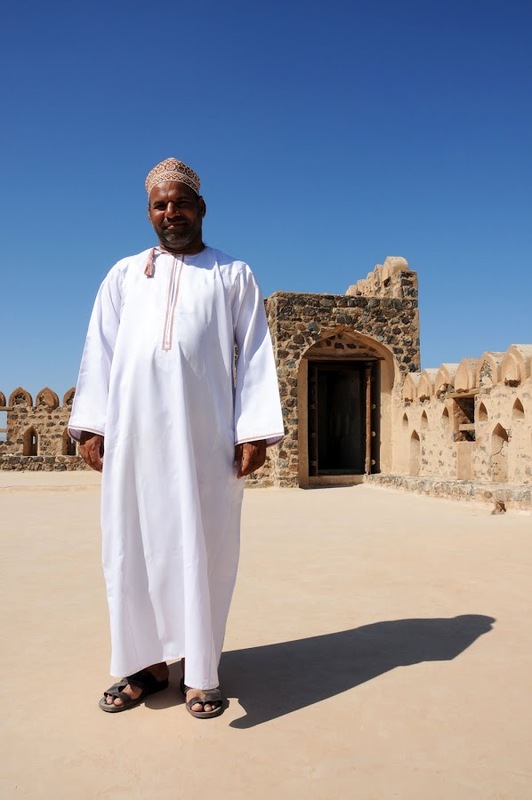 My next challenge is getting a ride to Sur – the Middle East’s easternmost major settlement. 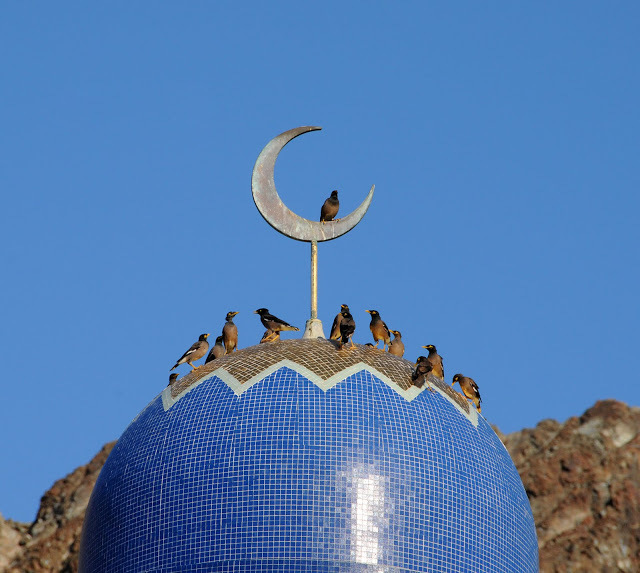 a live projection of oman,photograps and narration harmonise,tune summons,fantastic.